! ENROLL BEFORE MAY 1ST! To complete Study Plan before 2019 ABOS Exam Window (August 1st - September 30th), we recommend completing plan ~1 week prior to your scheduled exam. 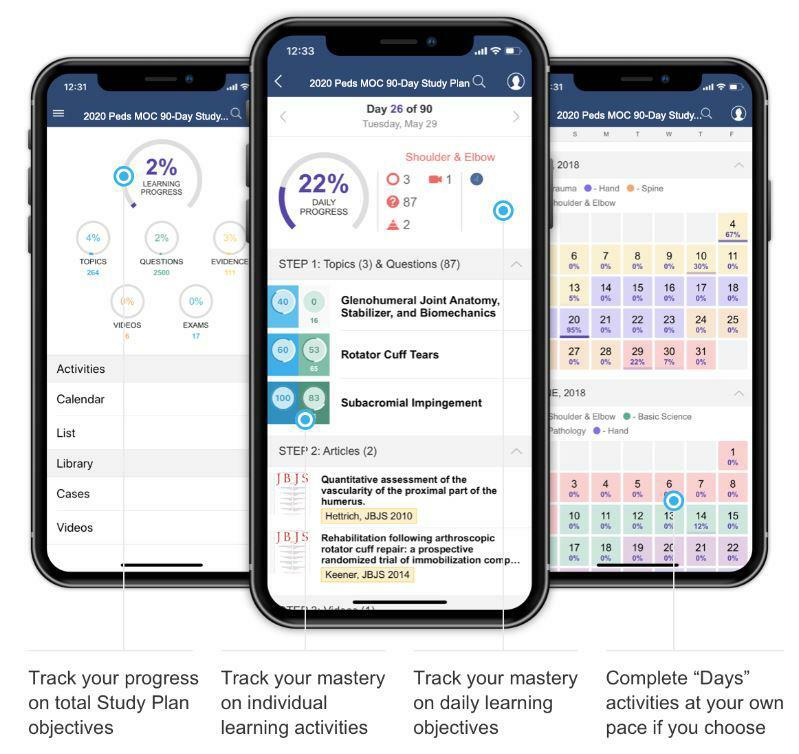 An innovative daily study plan for surgeons preparing for the 2019 MOC Spine Practice Profiled Exam. Daily emails begin the day after you purchase. The 2019 Spine Only MOC 90-Day Study Plan is designed to prepare US Physicians for the ABOS Spine Orthopaedic Surgery Practice-Profiled Recertification Examination, which is administered from August 1, 2018 through September 30, 2019. The Study Plan can also be taken by any surgeons who want to reinforce their Spine knowledge and stay up-to-date on current Spine literature. You will start receiving daily emails the day after you purchase. All the daily study plans are posted in the Study Plan "classroom", allowing you to complete the Study Plan on your own schedule. Access the Study Plan classroom by going to the Groups page and clicking the Study Plan logo. You may complete the Study Plan and take the exams at any time until January 15, 2020. 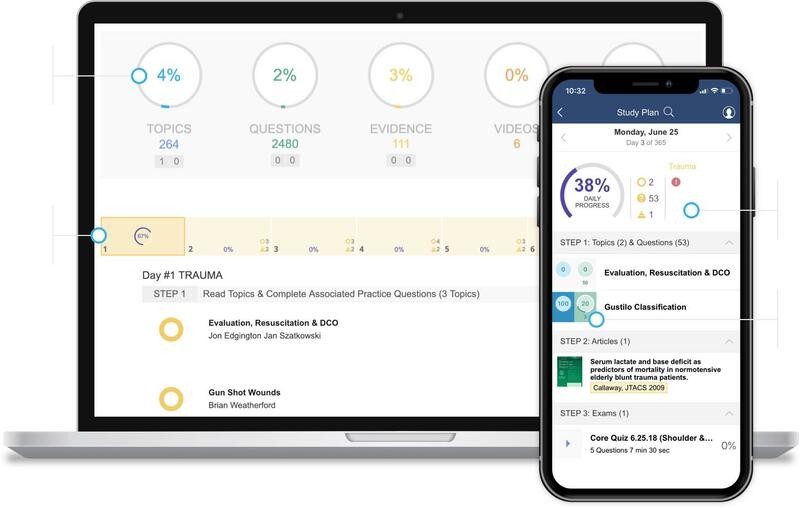 The 2019 MOC Spine 90-Day Study Plan delivers daily emails telling you exactly what topics to review and what questions to do. We have carefully selected 146 Spine topics covering Spine Trauma, Cervical Degenerative Conditions, Thoracolumbar Degenerative Conditions, Spine Infections and Tumors, Pediatric, and Spine Basic Science to prepare you for the MOC Spine Clinical Exam. Frequently-tested articles, often with a free full text PDF, are included in the daily study plans. After each unit take a Module Exams (30-50 questions) testing that material, reinforcing your knowledge. 3 Self-Assessment Exams (100 questions). all premium content included in the Virtual Curriculum. Click groups in the top menu, then click on Joined Group and select the logo for the group. You must complete all course activity and obtain certificate before December 31st, 2020. Practicing orthopaedic surgeons preparing for the 2019 MOC Spine Maintenance of Certification Exam (MOC) administered by the American Board of Orthopaedic Surgeons. This internet enduring activity is designed to prepare surgeons in practice for the Spine Clinical Maintenance of Certification Exam administered by the American Board of Orthopaedic Surgeons. Through a review of 146 Spine orthopaedic topics, recent academic literature, and a rigorous mock examination schedule, the learner will be well prepared for the tested content and computerized format of the MOC. Upon completion of this activity, participants will be able to: Demonstrate an understanding of basic science, clinical presentation, evaluation, treatment options, and surgical techniques for Orthopaedic Spine Topics. An innovative daily study plan for surgeons preparing for the 2019 MOC Hand Practice Profiled Exam. Daily emails begin the day after you purchase.